Celebrating Growth – Inova Loudoun Foundation recognizes ER expansion — and other key events. The Inova Loudoun Hospital (ILH) Foundation hosted a number of events this past fall to celebrate the powerful impact of philanthropy on our community. When emergency strikes, it’s nice to know there’s a beacon of light close to home — a place that you trust, where you can receive high-quality, advanced medical care for even the most serious of conditions. 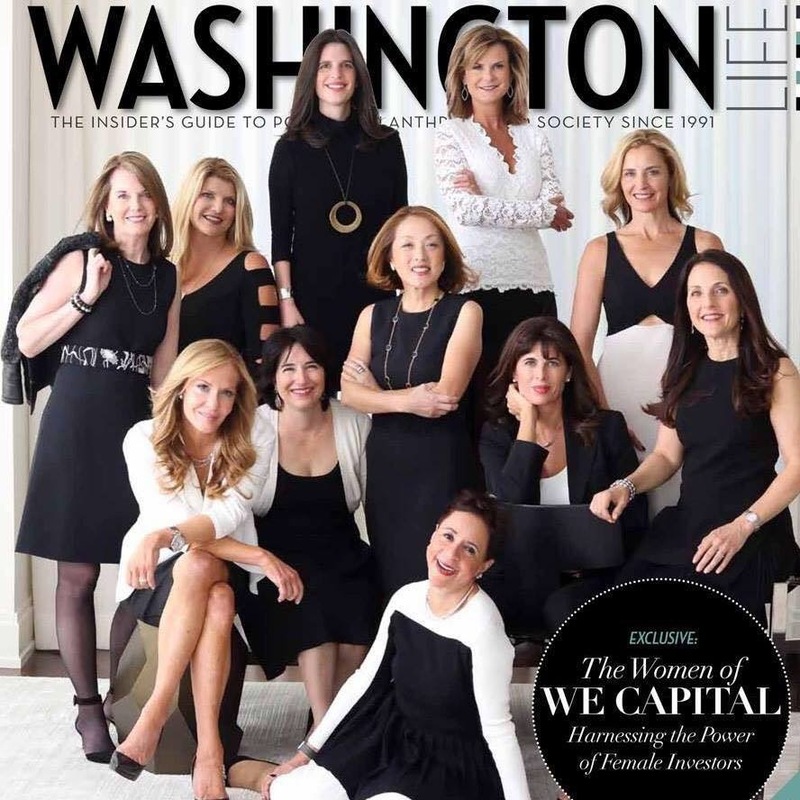 A new consortium of women investors seeks to break barriers and fund social change. Inova Loudoun Hospital has kicked off a $5 million expansion of its Lansdowne campus emergency room while it pursues a Level III Trauma designation for the center. Inova Loudoun Hospital celebrated an important milestone this morning when it officially launched the renovation and expansion of its Lansdowne facility with a “brick-breaking” ceremony. 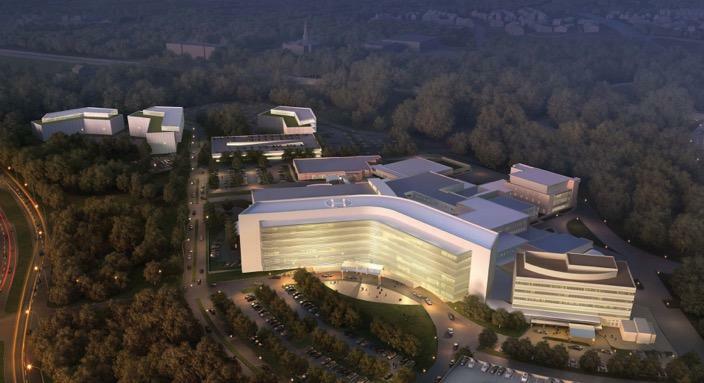 Inova Loudoun Hospital, recognized for providing world-class healthcare to meet the needs of our growing community, “broke bricks” to begin the renovation and expansion of its award-winning Lansdowne Campus Emergency Room. In addition, it was announced that beginning October 1, the hospital is advancing the level of ER care by pursuing implementation of Level III Trauma capabilities. This will be the first trauma center in Loudoun County. After a nearly $5 million campaign, Inova Loudoun Hospital celebrated with a “brick breaking” for its new emergency room and trauma center. Elected officials, medical professionals and many of the donors themselves were on hand to commemorate the construction of the new facilities by knocking down faux bricks as part of the event held at the Inova hospital in Landsdowne. Leesburg, VA — Inova Loudoun Hospital, recognized for providing world-class healthcare to meet the needs of our growing community, “broke bricks” to begin the renovation and expansion of its award- winning Lansdowne Campus Emergency Room. The Sharon D. Virts Foundation celebrated its launch Aug. 15 at the historic Selma Mansion in Leesburg, with a $10,000 donation for the Land Trust of Virginia to preserve the history of Loudoun County. “Welcome to Selma” said Sharon D. Virts to a crowd gathered in the shadow of the grand Selma Mansion Monday afternoon. Those words likely have not been spoken on the dilapidated and once abandoned property in years. But on Monday, Virts and Scott F. Miller, who together purchased Selma, invited about 50 people to tour the 18,300-square-foot home and get a glimpse of the early stages of the massive effort to restore it to its former glory. On Aug. 15, FCI Federal Founder and Chair Sharon Virts showed off the progressing renovations of the historic Selma House in Leesburg. She also showed off her plans for a less tangible, but equally important, type of building progress. Beltway Battler: How Sharon Virts built her government contractor into what it is today. In 1991, Sharon Virts decided it was time to return to the Beltway. For years, the Loudoun County native had been managing programs at Computer Sciences Corp., then went to New York to head up government programs for Prentice Hall Publishing. But she knew she was a government contractor at heart and what better place to call home than the federal government’s backyard? So, she began interviewing for jobs with CSC, Planning Research Corp. and Martin Marietta, the predecessor to Lockheed Martin Corp.